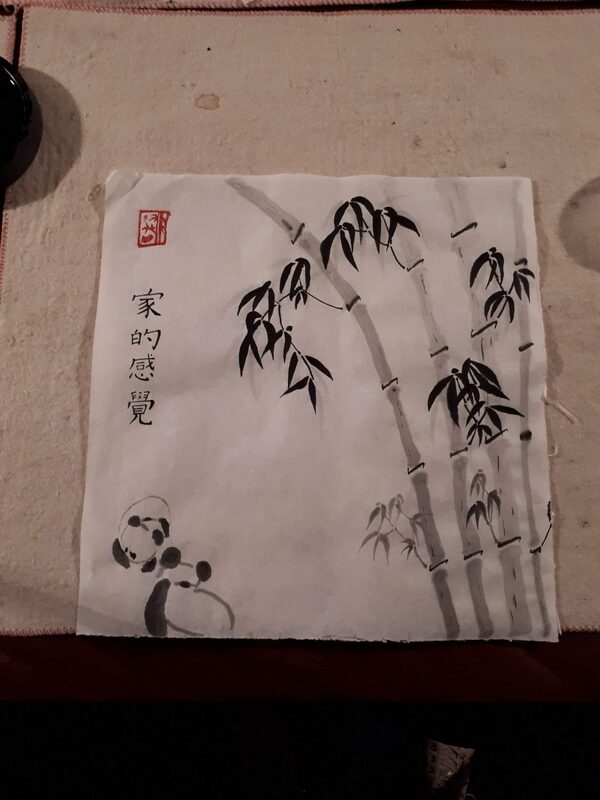 It was during springtime in the year 2015 I first had an encounter with Chinese calligraphy. I was a student at that time going for my bachelor’s degree in IT. 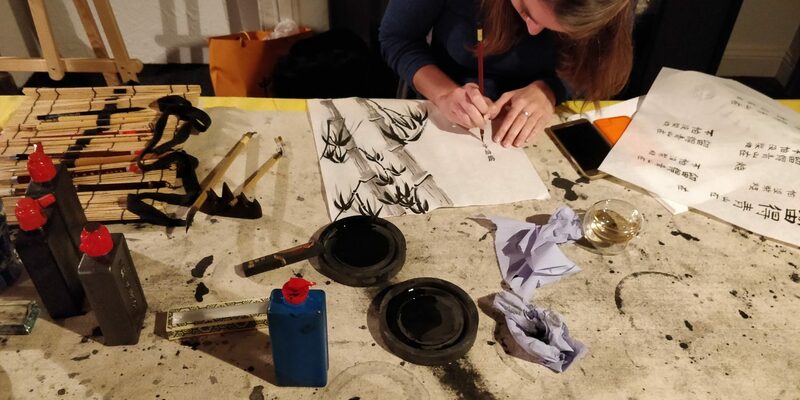 Every Wednesday evening there was a calligraphy workshop at the Confucius institute in Bruges. From the first evening I was hooked. I was (and still am) very fascinated by the Chinese characters. Our teacher was a professor from Hangzhou, China. In his spare time, he did calligraphy and told us he had learned it from his father. He had to practice a character week after week until it was always the same one he wrote. That is what I call determination and so it was a privilege to be taught by him. After three wonderful years, we sadly had to say goodbye to our teacher who was returning to China. 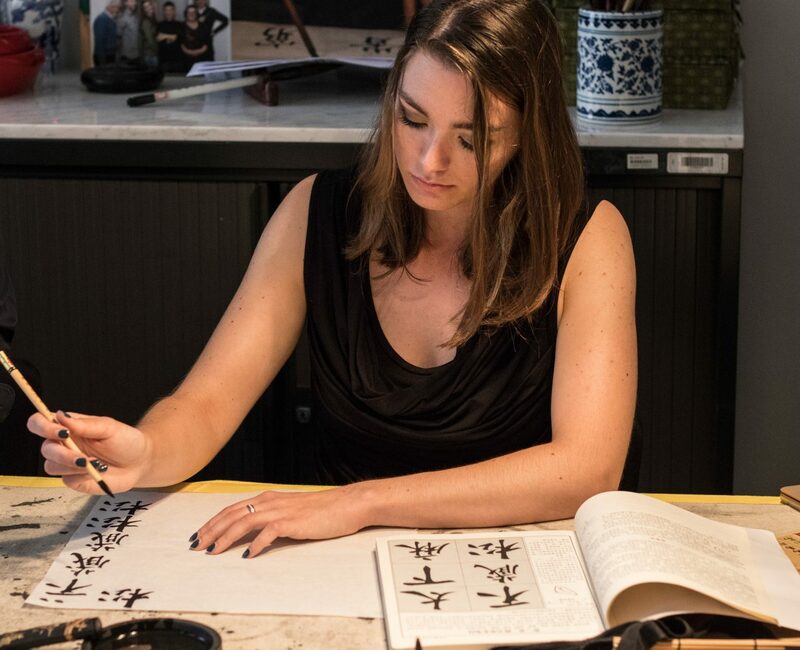 Not only did he teach me how to use a brush and many other know-hows about the calligraphy. He also taught me memorable life lessons regarding family, work and friends. He even took the time to quickly teach me some basics of Tai Chi. 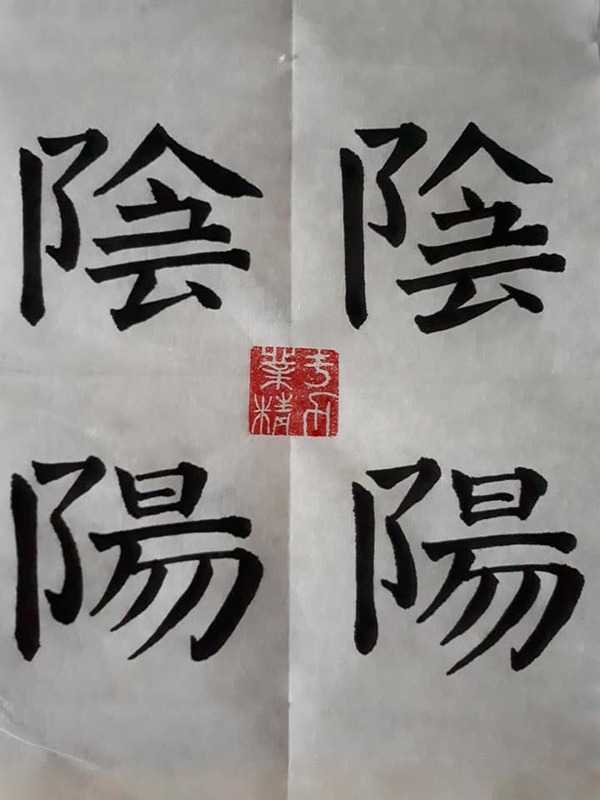 In February 2018, I continued doing calligraphy but now as a teacher. My teaching method goes by a saying Confucius once wrote in his Analects “学而不厌，诲人不倦” meaning study tirelessly, teach with endless enthusiasm. It means that eventhough I’m teaching others it also teaches me new things, I am curious about everything and ask questions to gain new knowledge. I started reading books and articles on websites to learn more about the calligraphy, about it’s history. But I stumbled upon a little bump on the road of knowledge… Most useful written documents and books were in Chinese! Therefore, I saw no other way than to learn Chinese and so I did. 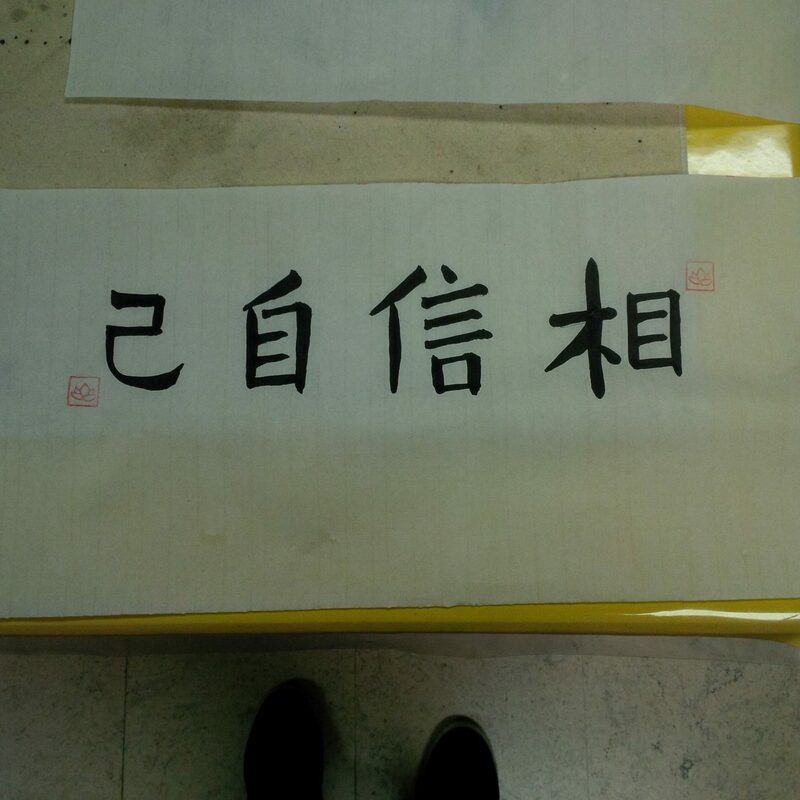 By learning the language, my understanding of the Chinese characters became clearer. It’s better to first understand the character and its meaning before bringing it to live with a brush and the ink on paper. During the year I applied to go on a scholarship for a month to learn the Chinese language in China. I could not believe it when I was accepted by Hanban. And so, my journey of the Chinese characters became a bit more adventurous. It was like a dream came true. Surrounded by characters, all sorts of scripts. 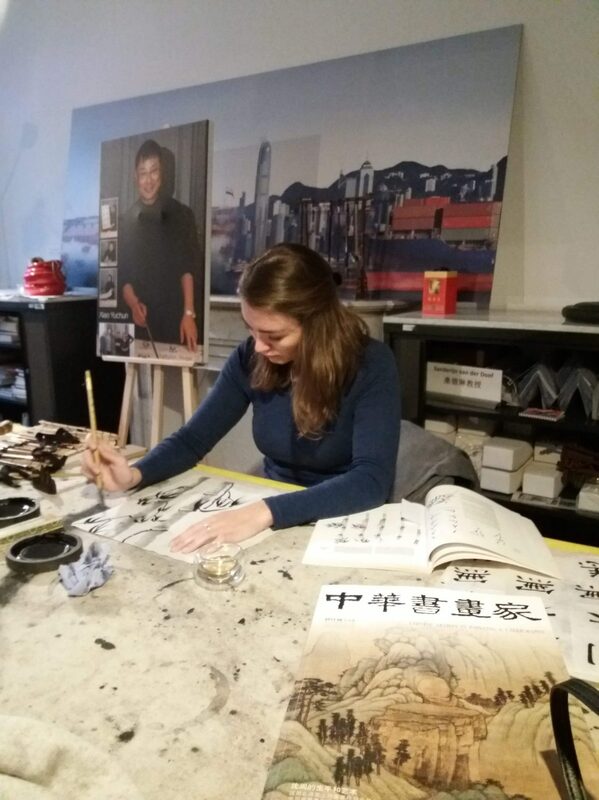 I even had the privilege to write a calligraphy work in a brush shop/factory in Huzhou. 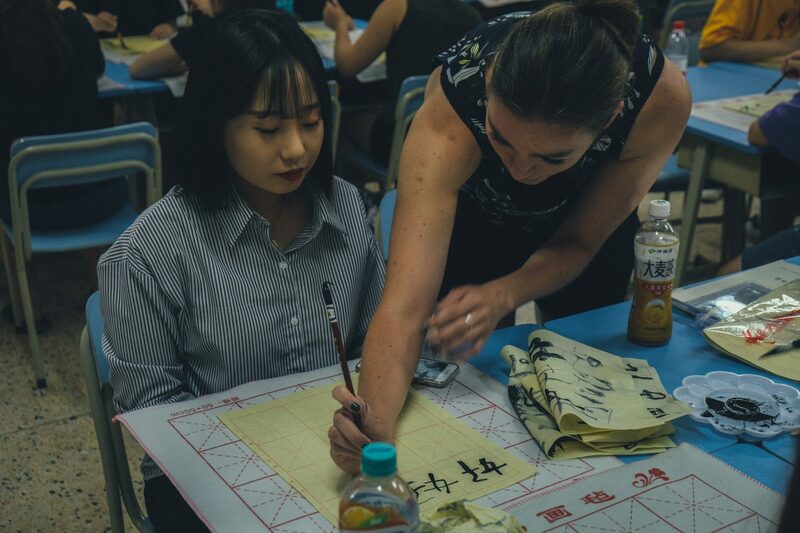 When I returned from my scholarship in July, I shared my gained knowledge in front of the calligraphy class. I am still pursuing to keep on learning and share this with those who want to know as well. For as my teacher told me that I am a diligent student. 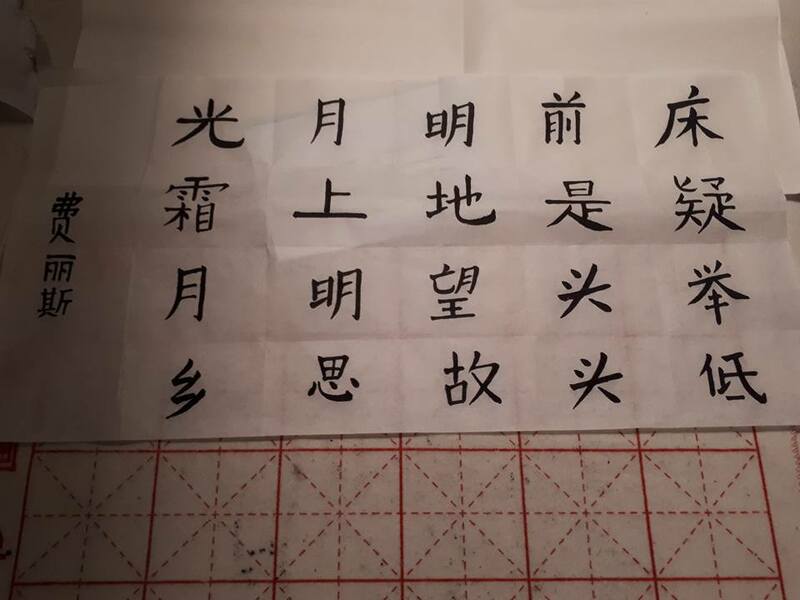 I prefer to write in regular script 楷书 but have written clerical and semi-cursive script as well. I have never sold a work of mine, but I do want to in the future if there’s interest. I have given works of mine as a gift for special occasions.